For centuries Bermudians have placed a high environmental and cultural value on the island’s reef system — the northernmost coral formations in the Atlantic Ocean. Earlier this year a monetary value was placed on our protective reefs — calculating they provided $722 million annually in direct economic benefits through coastal protection from storms and hurricanes as well as supporting both the tourism industry and commercial and recreational fisheries. In recent decades, at least 10 percent of the world’s tropical and subtropical coral reefs have been lost, BIOS has said. And of those which remain show signs of moderate to severe deterioration. The degradation of the world’s coral reefs has been caused by a host of human-related factors, including urban coastline development and habitat modification, pollution, nutrient and sediment overloading, direct destruction, and over-fishing. 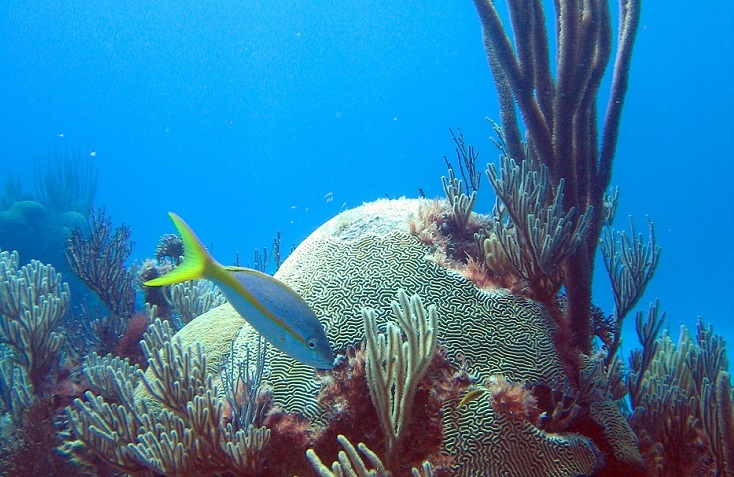 These environmental pressures, along with natural phenomena, such as El Niño events, increase the susceptibility of corals to disease and bleaching, when corals lose their zooxanthellae partners. Bermuda’s reefs, however, remain surprisingly healthy and resilient. Last year BIOS oceanographer Dr. Andreas Andersson told Hamilton Rotarians Bermuda’s thriving coral reefs could act as a type of environmental early warning system for other reef systems as they would be the first to be damaged increasing acidification of the oceans.